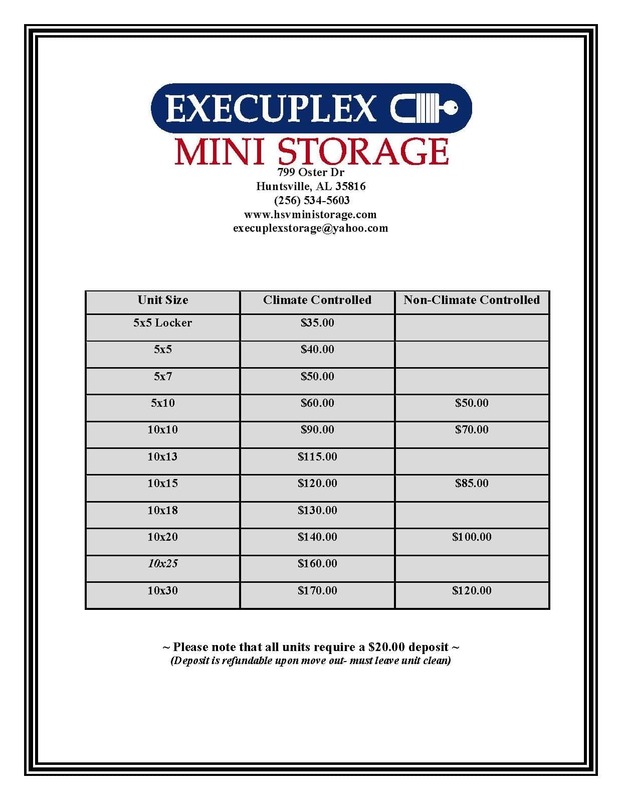 Whether you need some temporary space for your thriving business, or you’re starting a brand new one and looking for somewhere to plant your roots, choose a professional office suite from Execuplex Mini Storage. Look like a true professional in our professional suites when you need to host meetings, conduct job interviews, and more. Don’t waste your money on buying a permanent property while establishing your new business, call (256) 534-5603 and let us help with our affordable office suite rentals.